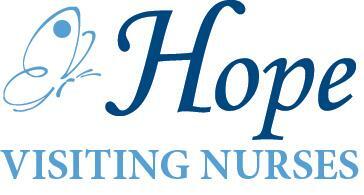 Does Visiting Nurses Association Of Southwest Florida I, Inc offer the following services? Each ZIP code that Visiting Nurses Association Of Southwest Florida I serves is highlighted on the map above. Hope Visiting Nurses (formerly VNA of Southwest Florida) was established in 1966 by volunteers in cooperation with the Lee County Public Health Department. We have been providing exceptional care for over 40 years. We are locally owned and operated, based in southwest Florida with a local board of directors and have partnerships throughout our community. As a not-for-profit home health agency, our primary focus is on your health and wellbeing. We are a partner agency of the local United Way. It is unfortunate but the staff is unreliable. Always either late or no show. When we interviewed with the nurse who created the care plan. We went over the fact that my Dad needs someone that will sit with him while he does his therapy. The one they sent for the last visit said she doesn't do therapy. I was a nervous wreck leaving because I didn't know if or when they would come and each time it was someone different. These are not people that you can trust with your loved ones. Visiting Nurses Association Of Southwest Florida I serves ZIP codes that encompass all or part of each of the cities listed below.